Participants in panel “The Materiality of the Image.” Panelists Daniel Gordon, Anthony Elms, Barbara Kasten and Shane Huffman being introduced by symposium organizer Laura Letinsky. Can you trust a picture? 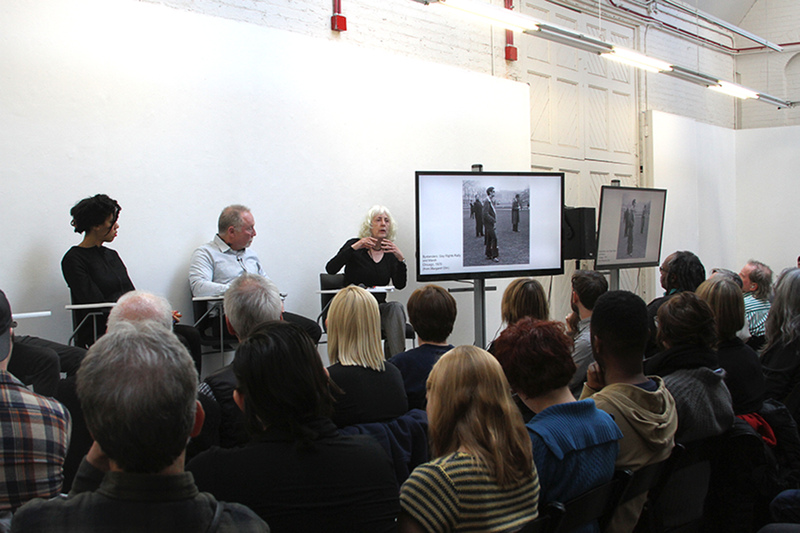 This was the preeminent question to emerge from a daylong symposium on contemporary photographic practices hosted on November 21 at the University of Chicago. Organized by artist and UChicago faculty member Laura Letinsky, “Unsuspending Disbelief,” a symposium of three panels and several open discussions, took as its point of trajectory a conflicted ontological viewpoint of the photograph. What is the potential of a photograph to confirm what we want to believe, and to show us what we cannot see on our own? A paranormal researcher—a ghost hunter if you will—once stated, “we like recordings more than we like to listen.” The anecdotal quote was shared early on by curator and participant Anthony Elms, supporting a thoughtful commentary on mechanisms of documentation, what we tend to expect of them, and their potential in augmenting reality. The statement’s minute scale also characterized the majority of the conversations throughout “Unsuspending Disbelief.” Absent of central, overarching claims, the panels were more akin to a musing than a thesis, more pub discourse than lecture. There were no paradigm shifts, no recalibration of the canon. Broad systems of ideas overzealously delivered in a public forum were replaced by anecdotal reflections on pictures and the nebulous photographic methodologies employed by artists today. Any conversation about what a photograph “is” versus what a photograph “means” might begin (and end) by approaching the problem of its materiality, and the symposium did just this, opening with a discussion between Elms and artists Daniel Gordon, Shane Huffman and Barbara Kasten focused on constructing images and reconciling them with something we tend to inconsistently refer to as “truth.” The program was organized along this arc, and the problem of truth, and belief, never fully dissipated. At the second panel, scholar Margaret Olin and artists Doug Ischar, Deana Lawson and Chris Mottalini traded commentary predicated on, and inherently critical of, lens-based media and documentary practices as platforms for negotiating the politics of representation—not only in how images are employed to broker or construct a perception of “truth” but how the presence of a camera shapes reality itself. 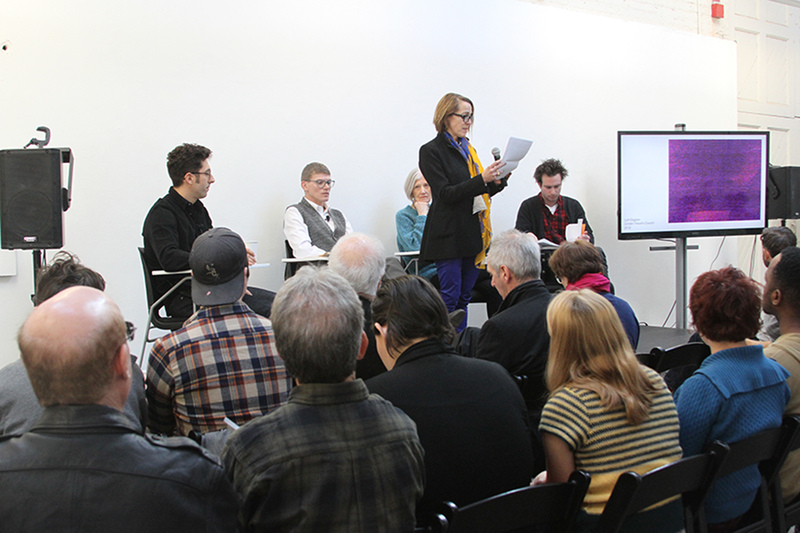 And while the third panel—comprised of artists Matthew Connors and Thomas Struth, historian Martin Jay, and Letinsky—broadened its scope toward wider historical and philosophical perspectives while carefully considering individual works from their respective practices, the scale and focus remained relatively modest. As a whole, “Unsuspending Disbelief,” with its quasi-talk-show format, set itself apart from similar programs aimed at diagnosing a crisis or resolving systemic malady.